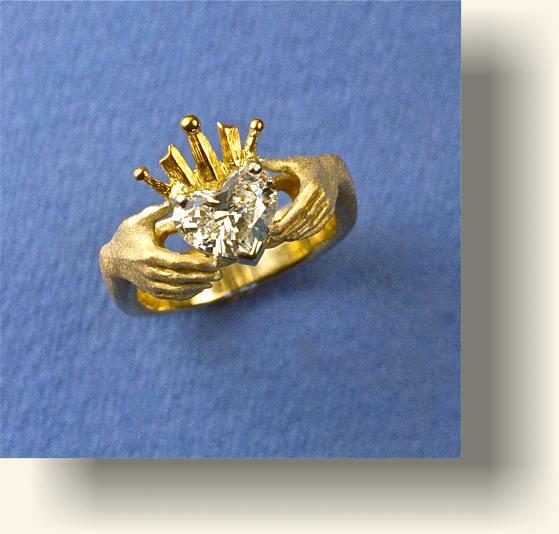 With a Heart shaped Diamond mounted with a crown. Two hands and arms (male & female) form the shank and hold the setting. 18kt gold.